Chomsky's ideas have never been regulated to language alone. His awards for peace and public intellect are just as impressive. In 1967, The New York Review of Books published his essay, "The Responsibility of Intellectuals." 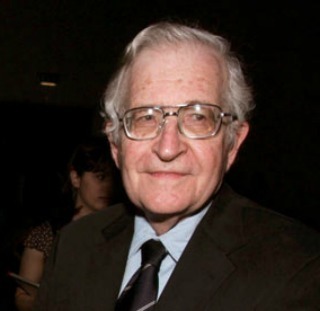 In light of the Vietnam War, which Chomsky adamantly opposed, he addressed what he saw as a disgracefully resigned intellectual community, a community of which he was an embarrassed member, with the hope of igniting his peers into deeper thought and action. Weaving between the world of academia and popular culture, Chomsky has gained a reputation for both his linguistic discoveries and his radical ideas. As a professor, he introduced transformational grammar to the field. His theory asserts that languages are innate and that the differences we see are only due to parameters developed over time in our brains, helping to explain why children are able to learn different languages more easily than adults. One of his most famous contributions to linguistics is what his contemporaries have called the Chomsky Hierarchy, a division of grammar into groups, moving up or down in their expressive abilities. These ideas have had huge ramifications for modern psychology, both raising and answering questions about human nature and how we process information. "Noam Chomsky was a superb speaker! Nothing else needs to be said."